Thank you so very much to Atria Books for inviting me to participate in the blog tour! As always, all opinions are my own. Last year I read THE BLACKBIRD SEASON and fell in love with Moretti’s writing style. Well folks, she’s done it again! Lilith Wade was convicted and sentenced to death for murdering six women. Now, fifteen years later, her daughter, Edie Beckett, works a mediocre job, is a recovering alcoholic, and is just trying to stay out of the spotlight of her mother’s high-profile case despite the recent release of an unauthorized, tell-all biography. Edie develops an unhealthy obsession with her mother’s victims and even creates fake social media accounts. Peter Lipsky, the husband of one of Lilith’s victims, is found dead and the last person who saw him alive is Edie. Edie’s mother has been diagnosed with a myriad of mental disorders: OCD, Borderline PD, Narcissistic PD, Bi-Polar, and depression – did Edie turn out just like her mother? 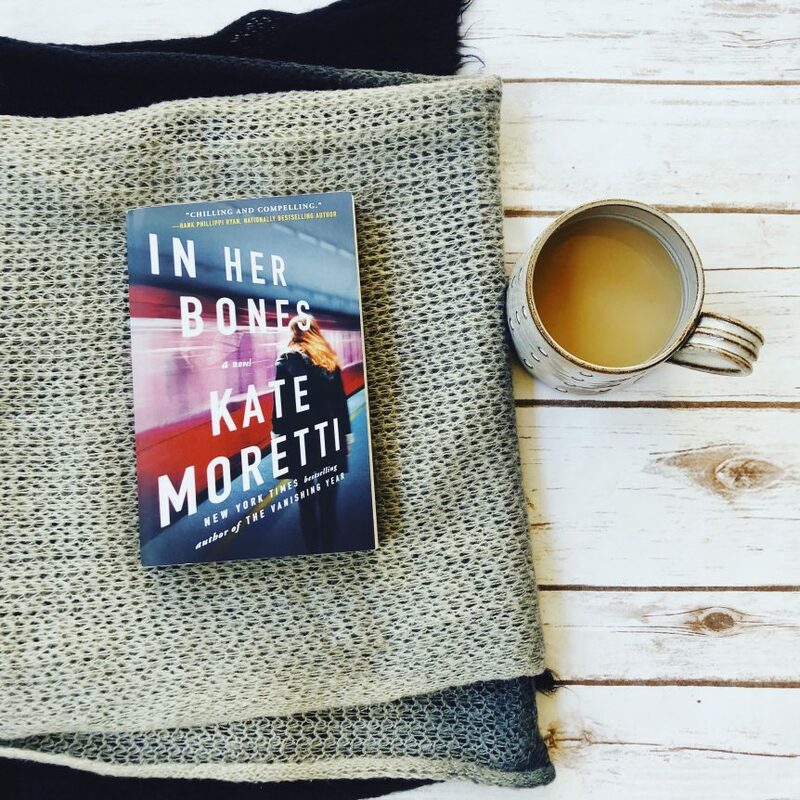 Moretti writes a haunting, suspenseful book where she incorporates mysteries within mysteries and I just love stories like this. The book is interspersed with excerpts from the unauthorized biography which gives great insight into Lilith’s character. The narrative is told from the perspectives of Edie and Gil Brandt, the detective on Lilith’s case all those years ago. This story is a bit of a slow burn, but it still had me gripping the pages. IN HER BONES is a dark, true crime-esque story with some great plot twists. Moretti is a skilled writer and I am excited to read whatever she comes out with next. 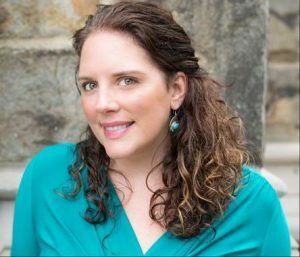 Kate has worked in the pharmaceutical industry for twenty years as a scientist and enjoys traveling and cooking. She lives in Pennsylvania in an old farmhouse with her husband, two children and no known ghosts. Her lifelong dream is to find a secret passageway.